What is the vision and objectives of the Representative Council of Evangelicals of Uruguay or CREU? 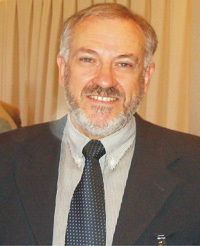 CREU exists to represent, articulate cooperation and edify the Evangelical Church in Uruguay. An effective instrument for cooperation among evangelical bodies, it allows its members to relate with each other through the sharing of relevant resources and the yielding of opportunities for edification not only among themselves but in relation to the surrounding environment (society, institutions, organizations, and the government). What can we thank God for in relation to the Council, from this last month (or year)? We can thank God for the consideration and recognition by the Government who invited us contribute to various initiatives and Public Policy (Drug Abuse, Children and Adolescents, Volunteering, Prison Realities, etc.). In a country where church and state are separated and where the former is not well appreciated this comes to us as an historic achievement as we are called to contribute. We also appreciate being able to have completed a multi-intentional tour aiming at gathering information, promoting companionship and motivation through meetings with pastors and associations in the 19 provinces that make up our country. While our geography is small it still was not easy to have three teams dedicate three months to cover the entire territory. Also we thank God for allowing us to increasingly be an important instrument of unity and support within the evangelical church. Finally we thank God for organizing and mobilizing the Evangelical Church for the 4-14 Window challenge. Could you share some examples of involvement and commitment you have with the public in your local community? Currently there is little impact toward the community because this is not yet one of the direct tasks we have undertaken. However certainly through our affiliates and their efforts we reach the society by sponsoring a number of programs including: Social Welfare, Drug Efforts, and Polyclinic Medical Homes for Children, Adolescents, Elders, Etc. Recently we have been officially involved with other professionals and people who specialize in contributing to state policies in order to develop actions and strategies for the edification and cooperation within society. What are some of your prayer requests than we can publish on the site? -For the formulation of a strategic plan. 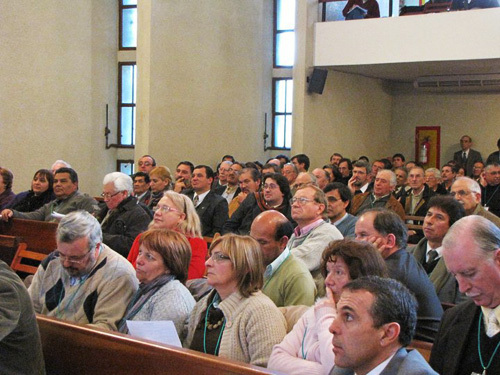 The Representative Council of Evangelicals of Uruguay has only 9 years of life which is why praying for the inner and outer aspect of this ministry and praying for defining its strategies is so vital. -For wisdom before the State and Society. -For the Strengthening of Leadership. The growth of the Gospel is vital in this country that needs so much . 75% of congregations have a community of no more than 40 people which makes them very vulnerable when impacting others; this is key in helping our leadership-building strategy. -For the Evangelical Church to be able to contribute to the strengthening of sustainable strategic alliances. The growth and impact of collaborative work and interaction between denominations, associations of churches and para-church ministries is increasingly evident. This area is where CREU is beginning to be elemental for joint initiatives, proclamations, cooperation, in areas such as: Public Advocacy, Church Edification, Evangelism,-Etc. This is the less-reached nation in Latin America. Ours is an agnostic, secular, and deeply post-modern society. The spiritual values and religious practices are not adequately appreciated or valued and the interest or curiosity about religious or spiritual values remains as last priority for Uruguayans. Evangelicals a decade ago represented 2% of the total population but now it reaches 6%. Although this may be perceived as a significant percentage it is important to be aware that the population of Uruguay is only 3.3 million meaning that 6% is 180,000 Christians. It means we constitute a very small force before adversity as expressed on the first paragraph. In addition, a significant proportion of pastors need support in training, motivation and Nearness of Fellowship and Pastoral Care. Without formal statistics but with overall knowledge of God’s work in this country it is ours an educated guess that approximately three-fourths pastors haven’t achieved a full theological formation. A similar proportion does not serve full time in ministry, but direct their other time to a secular job in order to sustain their congregations. This affects the upbringining of their church congregants as well as the evangelization projects in an environment so lacking and resistant at the same time.